The popularity of both Brixton and Battersea among young professionals, growing families and even students helps explain why the majority of property sales in both areas are flats. With demand for homes for sale in south-west London outstripping their supply, many owners of the large Victorian houses in Brixton and Battersea have long converted them into flats, while developers are helping to create more properties by building blocks of modern apartments. 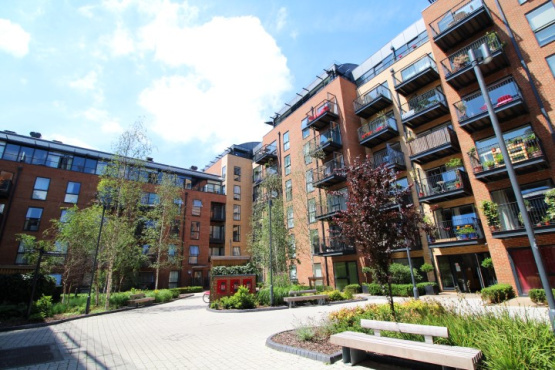 Almost every flat for sale in Battersea and Brixton is a leasehold property. Although most leases issued run for 99, 125 or even 999 years, ownership of a leasehold home will revert back to the freeholder – also known as the landlord – once the agreement expires. This can be averted by taking steps to extend the lease. However, this action should be taken before the original agreement has less than 82 years to run. Why? Under the Leasehold Reform, Housing and Urban Development Act 1993, the freeholder is entitled to half of the increase in the value of the property when a lease with less than 80 years to run is extended. The Leasehold Reform Act states that if the leaseholder has been living in the property for more than two years and the original lease ran for a term of 21 years or more, they have the right to serve a Section 42 notice on the landlord requesting their terms for a lease extension by 90 years at a peppercorn rent. The Act also states that if the owner of a leasehold property has already started the extension process before a sale is completed, purchasers can effectively inherit and continue that process. Therefore, it is possible for buyers to request that the current owner initiates the lease extension procedure as a condition of the property sale, enabling the buyer to avoid the two-year delay and possibly incur further costs. If the freeholder is willing to grant this request, the owner of the landlord will inform the leaseholder of the price they want to charge for the lease extension, the amount of ground rent payable and whether the extension will run for longer than 90 years. A possible alternative to extending the lease on a flat in Battersea or Brixton is for the current owners of properties in the development to get together and buy a share of the freehold. Known as collective enfranchisement, this gives tenants of flats who act together the right to purchase the freehold and any headleases of their building. In order for the block of flats to qualify, it must be an independent building or be a part of a structure that is capable of independent development. The building must also contain two or more flats held by qualifying tenants and have at least two-thirds of the flats held by qualifying tenants. Qualifying tenants must have been granted a lease of more than 21 years and not own three or more flats in the building. Beware that if only the minimum 50% of owners in a block want to participate, then the cost to each leaseholder will effectively double compared with the cost of a plan that attracts participation from 100% of owners. Flats with a share of the freehold are usually more desirable than leasehold properties and tend to be worth more. Once the freehold has been acquired, full ownership of the building goes to the participating leaseholders, often via a company formed specifically for this purpose. Leaseholders can then select managing agents directly accountable to them or decide to self-manage. Either way, problems such as excessive insurance commissions or awarding contracts which may not give best value can be reduced. However, it should be remembered that managing a building is a complex task with a host of laws and regulations to learn, ranging from asbestos to fire safety. Furthermore, disputes between co-freeholders are a common source of tension as is the task of chasing flat owners who have yet to pay management fees – especially if they happen to be your neighbours.